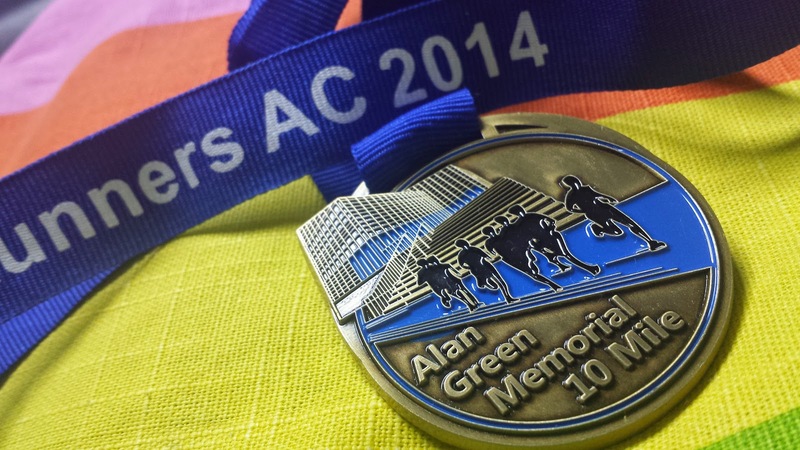 The Alan Green Memorial 10 Mile race (formerly the Thanet Coastal 10) is hosted by Thanet Roadrunners AC (TRAC) and takes place in early December. I entered the 2014 event right on the deadline for online entries through the Runner's World website - the entry costs were £15 attached or £18 unattached, but an additional £2 was levied by Runner's World for processing it. I collected my race number and triathlon-style timing chip on the day from the race hq which was located in the pavilion on the seafront at Westgate-on-Sea. The pavilion had plenty of warm indoor space, toilets and a bar selling refreshments. The race number and timing chip collection points were efficiently manned and worked really well. Additional portaloo facilities were provided outside the pavilion. The race itself had a 9.30am start time and with the start being down on the promenade and about 700 metres away, the 229 runners began to make their way towards the start from around 9.15am. I lined up just a few rows from the front in order to not be delayed at the start. The race got under way bang on time and the runners headed east along the tarmac/concrete seafront path towards Margate. I had checked the weather forecast for the day and saw that the temperature would be fairly mild at around 7 degrees or so, but as the previous day had been frosty and bitterly cold, I panicked and ended up getting my clothing choices completely wrong. 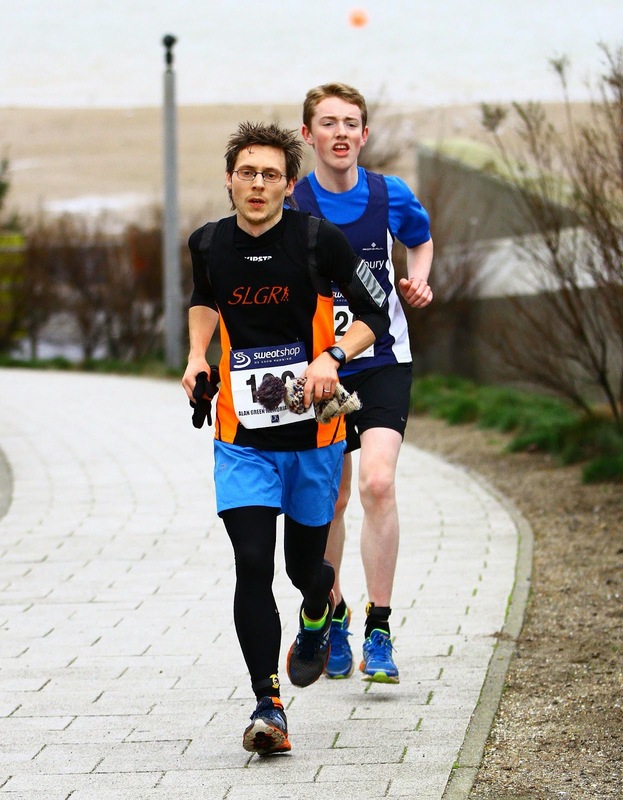 About 1 kilometre into the race, I started to overheat and felt really uncomfortable. I whipped off my hat and gloves, which helped but I still couldn't cool down due to the base layer and tights I was wearing. My gloves managed to slot into the waistband of my shorts but my hat was too bulky for that and I spent the rest of the race carrying it - I can't believe I got this so wrong, I'm usually spot on with this kind of thing. 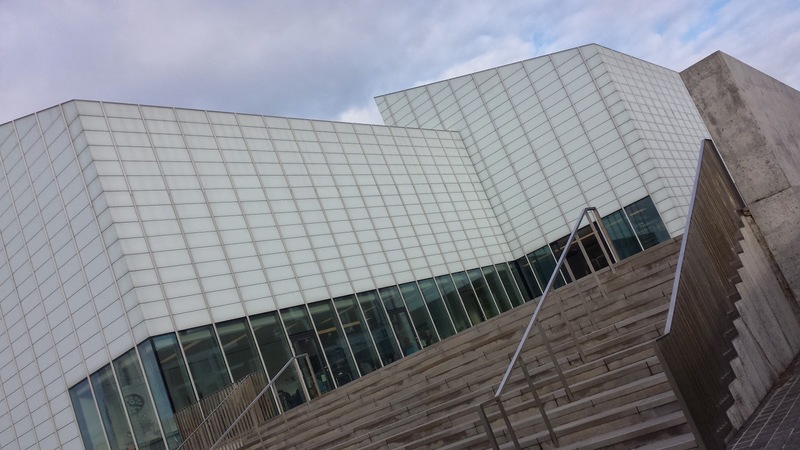 The course was largely flat but when it reached Margate there was a short, sharp incline as we passed the Turner Contemporary art gallery (which is the building featured on the bespoke race medal). 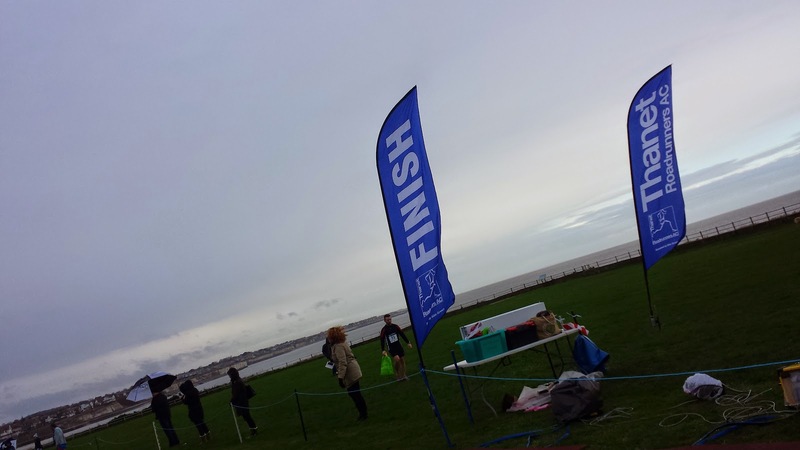 The water station was reached shortly after and was followed by a few more gentle gradient changes as the runners joined and ran along a large chunk of the Margate parkrun course, and then the halfway (and turnaround) point at the top of the cliffs at Foreness Point. I hit the 5 mile point in pretty much bang-on 32 minutes. The other part of the weather forecast that I had paid special attention to was the wind. 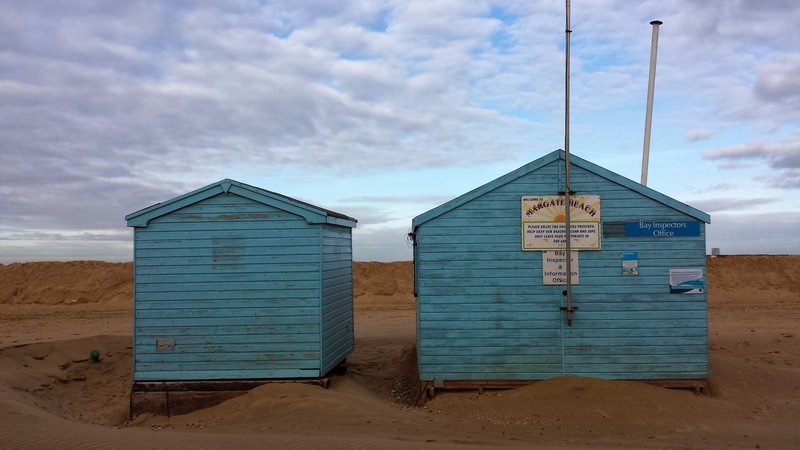 The Met Office had forecast wind speeds of 17 mph with gusts up to 27 mph. As this race was run on an out-and-back course, that meant that one way would be great and the other pretty dismal. As I reached the turnaround point, I had pretty much forgotten about the wind as it blowing in the same direction as I was running, but as I made the u-turn to return to Westgate-on-Sea I felt the full force of the wind blowing right in my face. I knew in an instant that my return journey would be slower than the outbound one, so I dug in and kept plodding away back along the parkrun course where I saw some of my teammates from So Let's Go Running and Dartford Harriers AC (DHAC host the Dartford Half-Marathon) who were all still enjoying the tailwind and looked blissfully unaware of what was about to hit them. I soon reached the water station and the centre of Margate again, and this time enjoyed the downhill section past the Turner gallery. After this, a small group of around 5 or 6 runners seemed to form and I slotted in at the back trying to shelter from the wind (which had now been joined by some light rain). 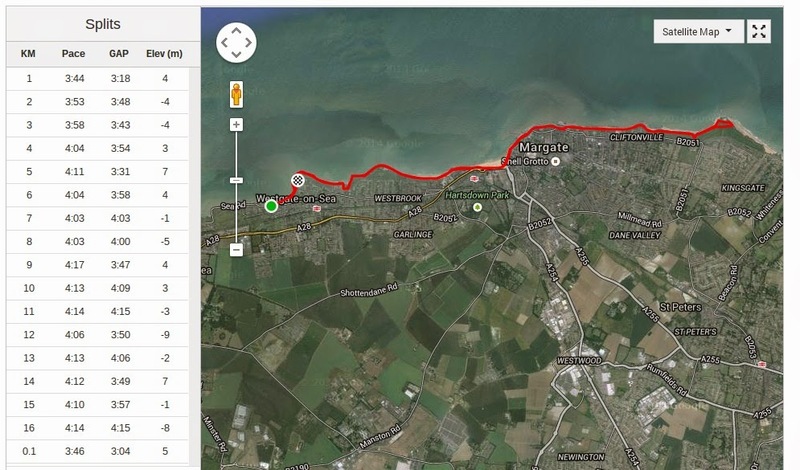 To be quite honest, I don't think my attempt at drafting made any difference at all, but we somehow stuck together through the last three miles along the promenade under the cliffs as we got closer and closer to Westgate-on-Sea. I knew the finish was at the top of the cliffs so that left one final incline, but I wasn't entirely sure how we would be getting up there. Then all of a sudden I saw that some runners that were ahead of the pack were heading up a path to our left coming back towards us and seconds later there was a line of cones and one of the friendly marshals (they were all great by the way - thank you) pointing us towards the path. I made the 180 degree turn and was relieved that I was no longer running into the headwind. But of course it was now all uphill and our little group started to fragment as the stronger legs coped better with the incline. A runner made a break for it and I followed, leaving some others behind. The very last bit took us onto some grass which was a little uneven underfoot and it made sprinting difficult. Still I hung on and with great relief, I crossed the finish line. I had my timing chip removed and proceeded to collect some water, a banana, a goody bag and a free tech t-shirt. I very quickly started to feel the cold so headed into the pavillion to warm up for a bit before getting changed into my warmer clothes. By now a good 14 minutes had passed since I had crossed the line so I headed back to the finish just in time to see the second finishing SLGR runner, Richey. He was followed by John, Dawn, Gary, Steve (DHAC), Rachel, and then Kat. The results were online very quickly after the race and as I was driving back home my travel companion for the day, Richey, looked them up on his phone and told me that I had finished in 16th position out of 229 (top 7%) in a chip time of 1.06.03. That is over a minute slower than my personal best and it shows just how much difference the headwind made during the second half of the race - if you check my splits you'll see I was around 10-15 seconds slower from the 9th kilometre onwards. My 5 mile splits were approximately 32 minutes and 34 minutes. Without the wind it looks like I would have been on for a new personal best. 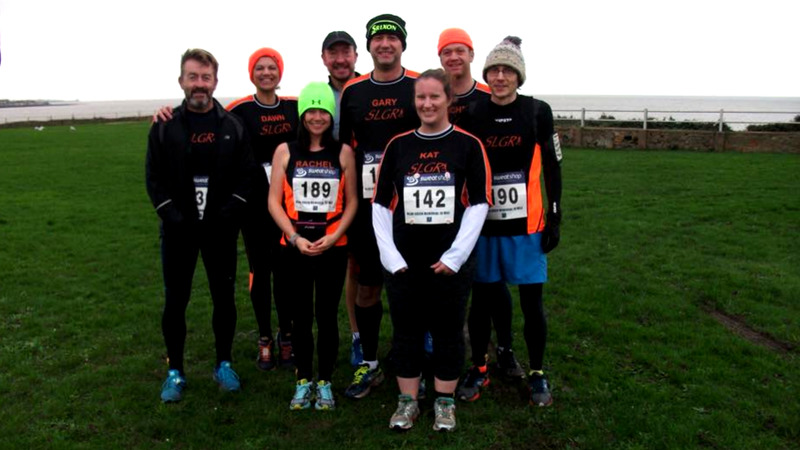 The Thanet Roadrunners AC race report and link to the official results can be found here.